How to Guarantee True Life Success by Taking Control & Mastering the 3 Critical Ingredients! Want the guaranteed way to achieve success in your life quickly? Learn and apply these three critical ingredients! Imagine having the life of your dreams - your dream job, dream house, dream car, and all the money you have ever wanted. What if you could wake up and do whatever you wanted every single day - the life of your choice? 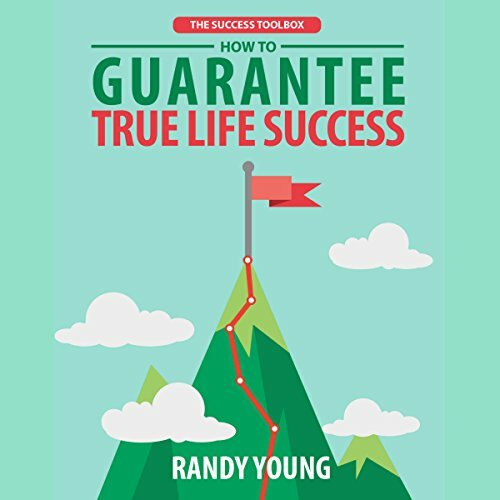 Multi-time, best-selling personal development author and influencer, Randy Young, shares with you the three key components of achieving success in all areas of your life. Using this, you can begin to change your life, one area at a time, until you have attracted your dream life. After working closely with his clients and sharing his strategies with more than 15,000 fans, Randy discovered these components helped people to achieve success faster than before (especially for things like hitting goals), so he decided to put them into this book. Do you feel like days go by, but you aren't getting closer to achieving real success or true happiness? Do you want to stop wasting time and finally see true results for all your efforts? Are things in your life not falling into place, or is there just something missing? Then, this book is for you! Randy's personal email address for unlimited customer support if you have any questions about anything!